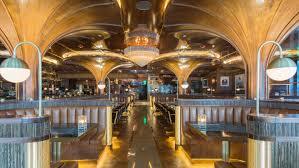 Best Restaurant of the Year (North of the Border): The Hotel Del Coronado has had “high end” restaurants as long as anyone can remember, and for years the biggest name has been 1500 Ocean (1500 Ocean Ave., Coronado). But when Chef Patrick Ponsaty took the helm earlier this year, it was a game changer. Ponsaty’s food is French, yes, but without all the butter and cream sauces. It’s impossibly light and yet feels profoundly luxurious. And it always maintains the capacity to surprise. Best Restaurant of the Year (South of the Border): Drew Deckman is one of the few true Michelin-starred chefs in our region. 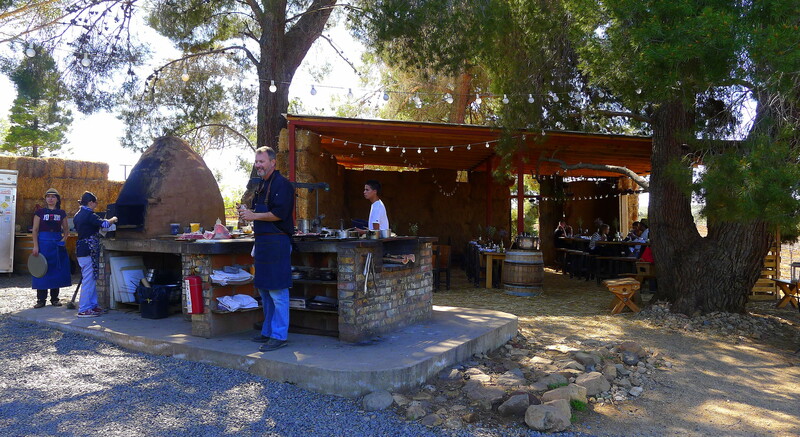 The food he puts out at his Valle de Guadalupe restaurant, Deckman’s en el Mogor (Km. 85.5 Highway 3 Tecate-Ensenada, San Antonio De Las Minas, B.C. ), is all the more amazing because of the setting: outdoors, bucolic to the extreme, and with wood as the only heat-source. And the restaurant is only getting better. Newcomer Restaurant of the Year: What does three years and $6.5 million buy you? In the case of Born & Raised (1709 India St., Little Italy), it bought the hottest high-end restaurant opening of the year. Whether terms like “retro” and “swanky” (and “high-end”) give the place the staying power that some other high profile, high-end openings in town have lacked is a story for next year’s wrap up. 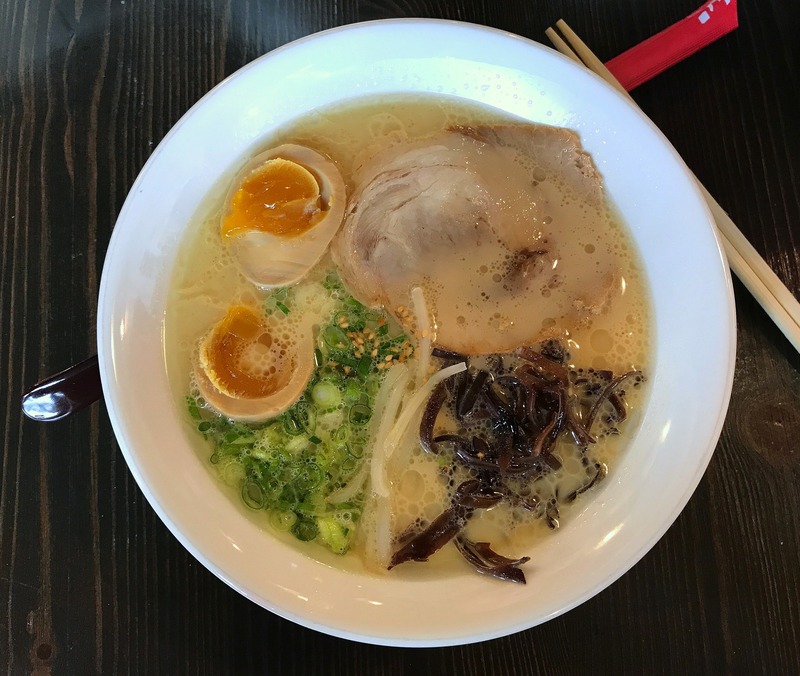 Newcomer Restaurant of the Year (Ethnic): When Menya Ultra (8199 Clairemont Mesa Blvd., Suite M) walked in the door it was greeted with celebrity endorsement and widespread plaudits. Remarkably, it lived up to the hype. In a category (ramen) that’s already filled to the brim in town, it made most of the others look like wannabes. 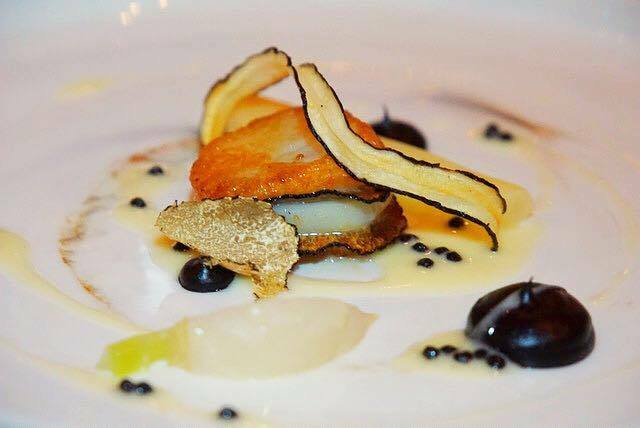 Dish of the Year: 1500 Ocean’s day boat scallops with parsnip-truffle purée, braised baby turnip, salsify and truffle caviar sauce perfectly highlights Patrick Ponsaty’s intelligent but indulgent style. A perfectly seared, gorgeous scallop sandwiched around slices of truffle that are echoed in a parsnip purée and visually repeated in thin slices of black salsify. It makes sense all the more when you taste it. Dish of the Year (Ethnic): The kursi chaat appetizer at Masala Street (915 Pearl St., La Jolla) is everything so many assume Indian food is not: gorgeous, delicate and playful along with the deep cultural resonance one might expect. 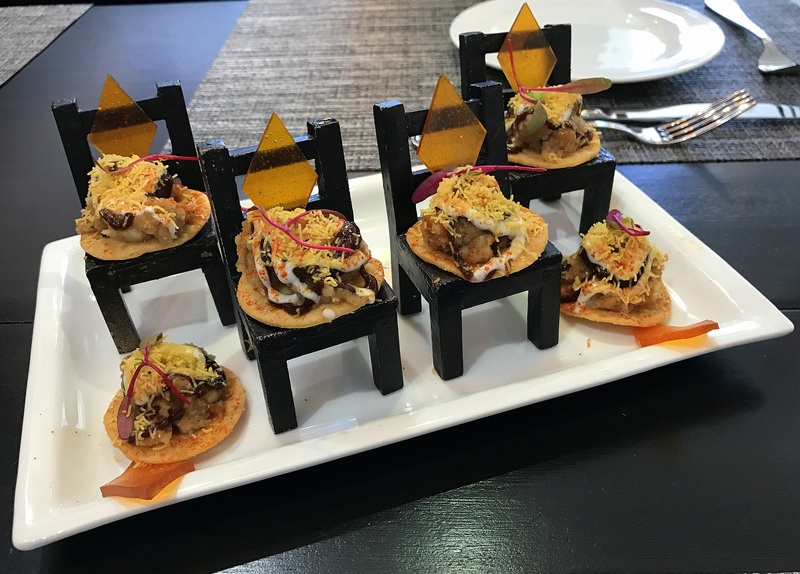 It’s remarkable for its presentation—potato, tamarind chutney and yogurt over flatbread crisps sitting on chairs with mango leather diamonds as their backs—but the whimsy in the presentation quickly gives way to flavor: bright, creamy with touches of earthiness, sweetness and spice. Most Disappointing Closing: When Javier Plascencia’s Bracero opened in Little Italy it felt like a game changer. It looked like it was trying to do to for Mexican food what Masala Street is trying to do for Indian food: help us forget how we “know” it must be cheap eats. Now that it has closed, questions have to be asked. 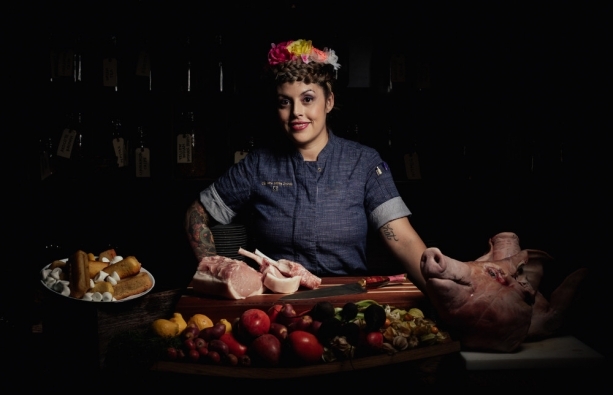 2018 Sneak Peak: As Bracero exits, El Jardin Restaurant—helmed by Bracero’s former Chef-de-Cuisine, Claudette Zepeda-Wilkins—is about to open in Liberty Station. Did Bracero pave the way? Or did its closing poison the well? Watch this space.